Who doesn’t like waffles? Now, it’s even easier to make, AND, they are more healthy for us! 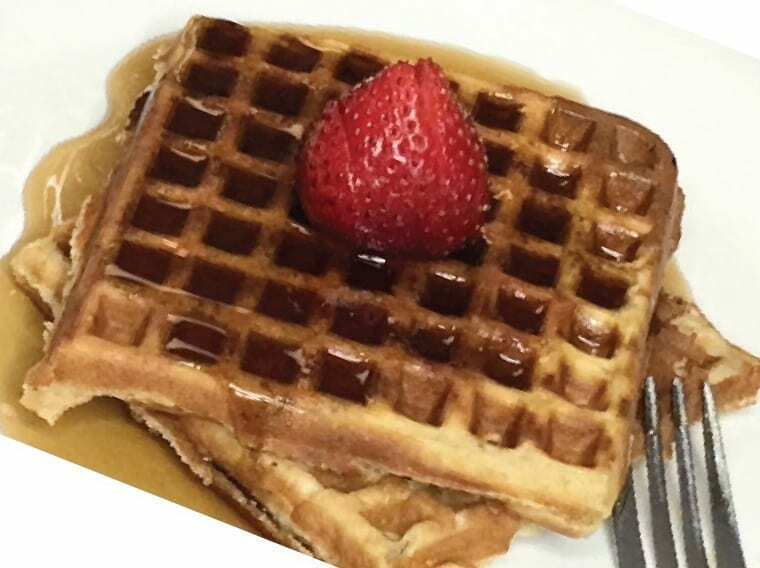 These waffles are made with a blender which makes it easier to mix the batter, pour the batter onto a hot waffle iron and clean-up is a whole lot easier. *Reserve about a 1/4 of a cup to help mix the batter in the blender. Adult: Help child plug in appliances and measure out ingredients. 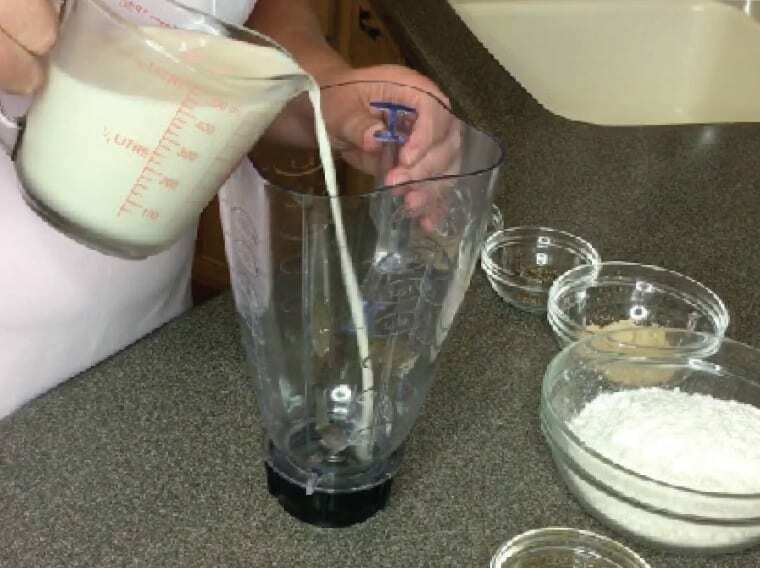 Child: Add the wet ingredients first to the blender, then add the dry ingredients. Blend all ingredients together. The protein powder may cause the batter to thicken up so you may have to add a little more almond milk if it is too thick. Scrape the sides of the blender with a spatula and mix again. 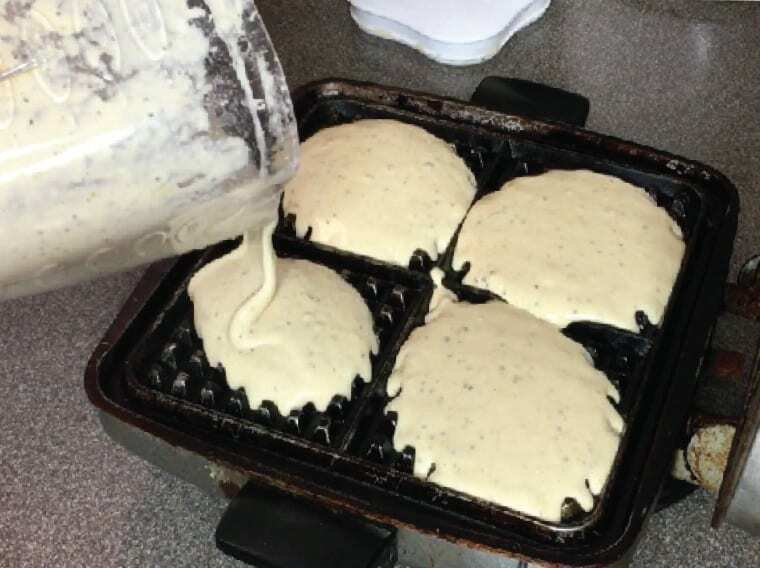 Pour batter onto lightly greased and preheated waffle iron. 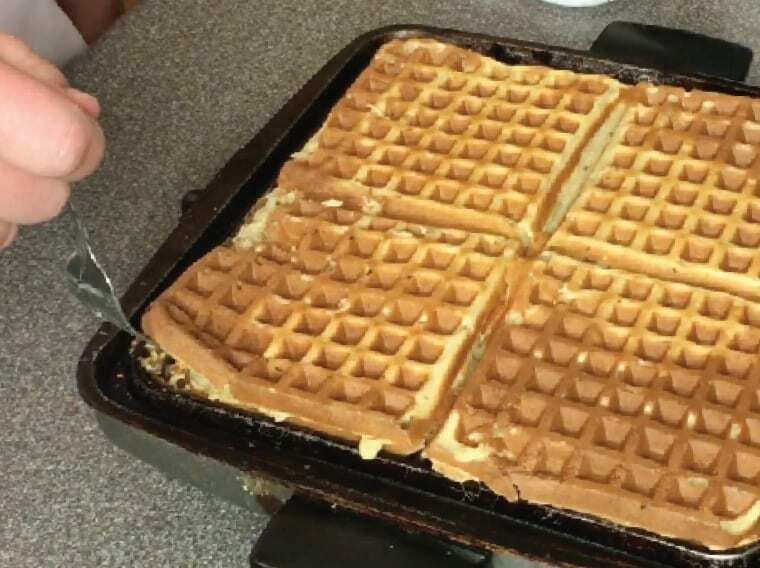 Cook waffles until steaming stops or until golden brown. Serve with your favorite fruit and maple syrup, if desired.with strawberries and blueberries.